Per Enge, Ph.D., is a professor of Aeronautics and Astronautics at Stanford University, where he is the Vance D. and Arlene C. Coffman Professor in the School of Engineering. He directs the Stanford GPS Laboratory, which develops satellite navigation systems. 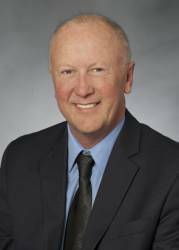 He has been involved in the development of the Federal Aviation Administration’s GPS Wide Area Augmentation System (WAAS) and Local Area Augmentation System (LAAS). IEEE, and the U.S. Air Force inducted him into the GPS Hall of Fame. He is a former President of the ION. He received his Ph.D. from the University of Illinois. Enge is a member of the Inside GNSS Editorial Advisory Council.